Loki patiently endures me and my very first macro lens. 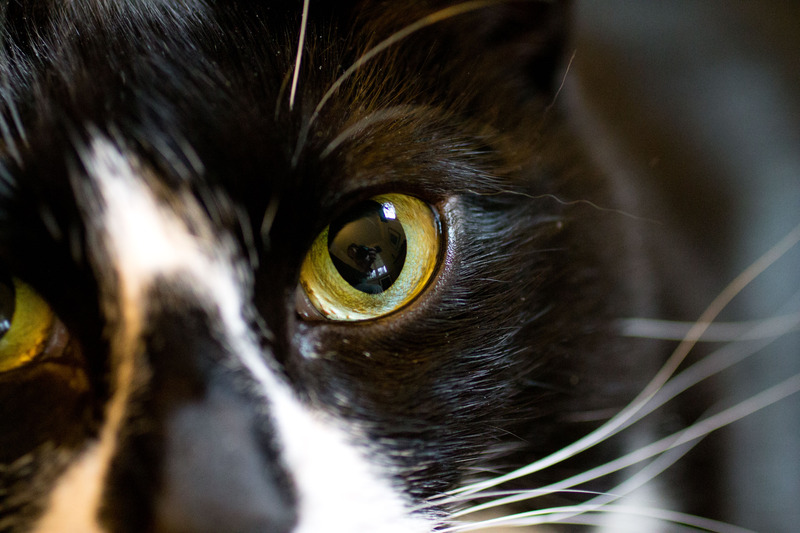 The depth of field is incredibly narrow, so it took a couple of shots to get one that focused on the eye. Fortunately, this is before she got fed up with the camera in her face.